Send rose flowers and gifts on Valentine's Day for delivery to Philippines from anywhere around the world. Your loved ones in the Philippines will surely appreciate the love when they receive the delivery of fresh flowers on Valentine's Day you sent especially if you are far away in other parts of the globe. Important! Read our Valentine's Day flower gifts Delivery FAQ and information page. Different types of Valentine's Day flower gifts are available to send, from rose flowers, rose bouquets and roses in vase... you are certain to find the perfect Valentine Day flower to send here on the Florabella online florist web site. Valentine's Day season is certainly a busy period for florists in the Philippines. 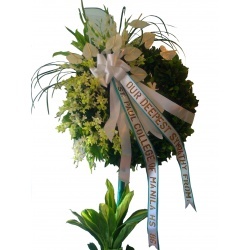 As a Makati flower shop, The Florabella store receives increased orders during the season of love. Send your Valentine's Day flower orders at least 1 week before February 14 to ensure the timely delivery of your Valentine's Day flowers and gifts to your loved ones. As experienced florists in the Philippines, we understand the paramount importance and context of sending and receiving gifts on Valentine's Day. Especially rose flowers and rose gifts for sweethearts, married couples and engaged people. We don't only assure delivery your Valentine's Day gifts and flowers on time. 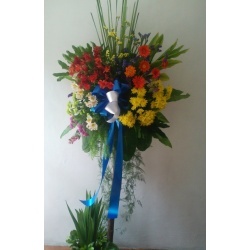 We also ensure that the flowers are fresh and their arrangements (box, bouquet, basket) is in best condition. You can rest assured we can service your Valentine's Day Rose flowers in vase and gifts to the Philippines will be delivered in a timely manner. Only from Florabella, trusted Philippine florist. Here are some popular Valentine's Day flowers and gifts from our catalog.